View3 and View4 is equipped with high quality touch screen controllable LCD displays fit for monitoring digital television in transmitter sites. All measurements are viewable on screen or logged and user downloadable via TCP / UDP / TELNET / SNMP. Monitoring includes audio level bars, field strength, BER and packet errors. 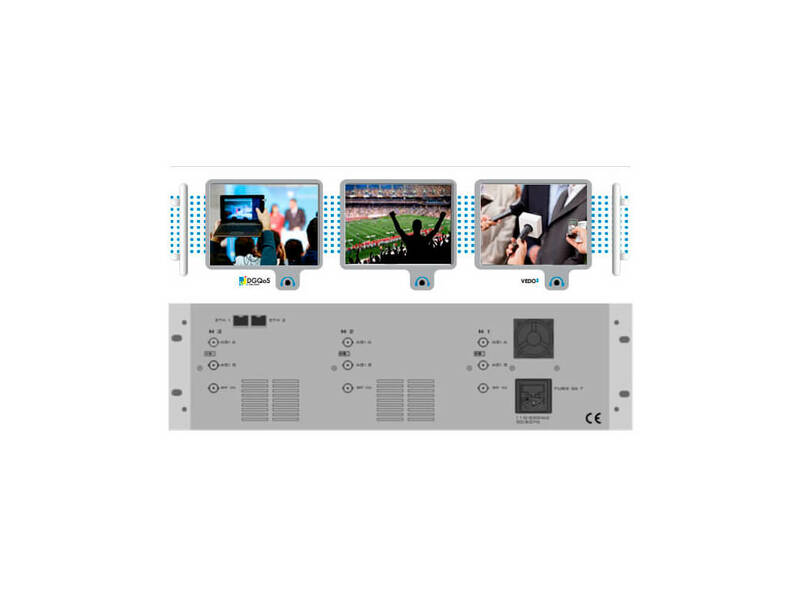 Each panel is independent and is capable of ASI, RF and ETHERNET (UDP) inputs rendering the unit highly flexible for all types of onsite and control room monitoring. Each separate panel is equipped with 2 inputs (‘A’ and ‘B’) which can be easily selected using the touch screen. Input formats include burst mode and continuous mode, packet sizes can be 188 or 204. Each monitor can intake SD or HD content thanks to a hardware MPEG2/H264 decoder. Depending on the option, the RF input is capable of DVB-T/T2, DVB/S/S2, DVB-C or ATSC.